A South Carolina man appeared before court on April 11 to answer allegations that he shot a nurse at an Orangeburg hospital. Orangeburg County Sheriff’s Office (OSCO) has charged Abrian Sabb, 23, with attempted murder and possessing a weapon during a violent crime, according to WACH Fox. Investigators allege Sabb entered Orangeburg Regional Medical Center at 7:29 a.m. on April 9, asking for mental health care but was refused immediate treatment because no beds were available. He was told to return in three days time. 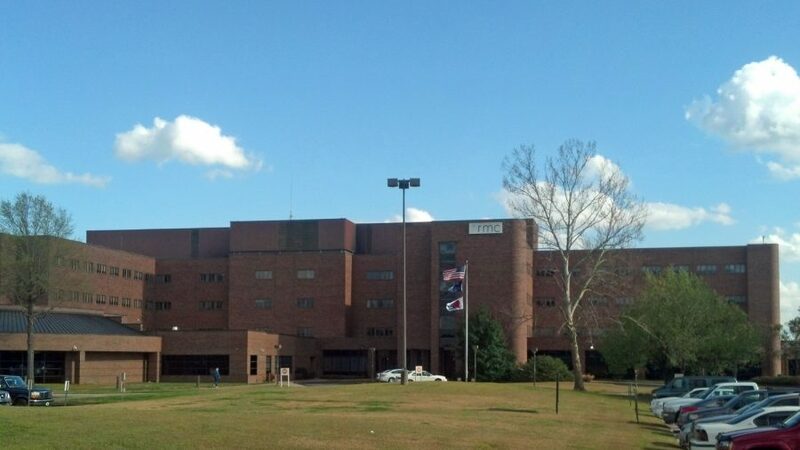 Orangeburg Regional Medical Center President Charles E. Williams disputes that Sabb was asked to return at a later time, saying that Sabb was treated but decided to leave by himself. Williams declined to comment on the suspect’s mental state, and confirmed this was the first ever shooting at the center. Sabb is accused of leaving and returning the very next day at about 8:51 a.m. local time with a gun and proceeded to open fire in the emergency room, according to the report. It is alleged at least one of his bullets critically wounded a male nurse in the abdomen. The gunfire ended after a security guard successfully wrestled away the gun from Saab who then turned himself in to security. OSCO deputies arrived to the hospital a few minutes later to discover the suspect was already in custody. At Orangeburg County Courthouse, one of the nurse’s family members said the victim is guarded, in a critical condition, and on life support after having undergone emergency surgery. “What [sic] most important at this time is that we all pray for the individual who is lying in a bed right now wanting to be healed,” Williams told 11 Alive. The patient left on his own but came back to the emergency department and opened fire about an hour later, authorities say. The judge denied Sabb’s application for bond at his hearing and the accused is being held at Orangeburg County Jail. The accused’s father defended Sabb by explaining that he suffers from schizophrenic episodes and has not taken his prescribed medication for several months. LIVE NOW Breaking News about that Orangeburg hospital shooting and a call for action from the accused shooter’s father. The father also asked to speak with the victim’s family and offered to help them, hoping to put the incident behind them as soon as possible. Williams thanked OSCO for responding so quickly to the shooting and preventing more injuries from happening.